Whenever Tencent invests in another Western company, the default reaction seems to be why doesn’t it buy the entire games industry and have done with it? Given Tencent’s aggressive M&A activity over the past decade - it has over $30 billion of investment assets listed on its balance sheet - this attitude does contain an element of truth. Of course, Tencent does have a lot of cash to invest. Tencent does have a lot of cash of invest. In 2016 alone, it generated around $6 billion of profit from $22 billion of revenue, of which 72% came from its PC and mobile games. In this context, games are only a small part of Tencent’s wider portfolio, which ranges from electric cars (including Tesla) to search engines, numerous e-commerce websites, lotteries, taxi apps and music companies. It invested $700 million to stream NBA games in China. Yet, what’s really interesting about Tencent’s investment - at least in game companies - isn’t how many companies it invests in, but how smartly it invests. The obvious example is Supercell. When SoftBank decided it was going to sell its 84.3% stake in the Finnish developer, Tencent could have easily taken the $7.8 billion it cost from the $17 billion stashed in its bank account. Instead, however, Tencent set up a consortium of Chinese companies, with itself as the lead investor, spending just $4 billion in the process, but maintaining control via 50% of the voting rights. In fact, Tencent’s modus operandi appears to be to invest sizeable amounts to gain a substantial but not majority shareholding in companies and then wait to see what happens. A perfect example is US developer Pocket Gems, which originally gained a $60 million investment in 2015 for a rumoured 20% stake. Since then, it’s focused on honing its interactive narrative app Episodes and midcore PVP game War Dragons, which have climbed into the US top 50 grossing charts. The reward for that success was a second $90 million investment in May 2017, taking Tencent’s stake to 38%. Neither game has been released in China, nor do there appear to be any concrete plans in the short-term for that to happen. The situation was similar with UK/Swiss developer Miniclip, which received an undisclosed majority investment from Tencent in 2015. Since then, its 8 Ball Pool game has become a regular in the US iPhone top 20 games chart - it’s no longer available in China - while more casual titles such as Agar.io and Soccer Stars have generated hundreds of millions of downloads in the West. Indeed, one of the most misunderstood aspects of Tencent’s investment approach is that it’s focused on bringing Western games to China. Tencent is already the dominant player in the Chinese PC and mobile markets. With a couple of notable exceptions - League of Legends - it doesn’t need to import Western games. Most Chinese developers are breaking down its door for distribution through its channels, and it now also has its own strong internal development teams. Tencent is already the dominant player in the Chinese PC and mobile markets. Instead, Tencent looks for Western game companies that already have some level of success, invests, and then trusts in these companies’ ability to succeed. It doesn’t micro-manage. Often it places someone on the company board, but in other respects lets these companies operate independently. And as demonstrated by US developer Hammer & Chisel, this can involve a substantial pivot. Tencent’s first investment was when it was working on mobile MOBA game Fates Forever, which wasn’t a success. Hammer & Chisel then ditched game development, instead coming up with its Discord voice and text chat PC/Mac/mobile app, which is now used by 25 million gamers. Of course, Tencent is not always successful. In April 2015, it invested $126 million at $6 per share for a 15% stake in Glu Mobile, raising that to 21% in February 2016. Since those investments, however, Glu’s share price has tanked to $3. The result has seen Tencent’s investment losing 60% of its value. Similarly, investments in developers Robot Entertainment and Plain Vanilla (which went bust and was bought out by Glu Mobile), haven’t been particularly successful, while US studio Playdots remains something of a work-in-progress. Indeed, Tencent’s most successful mobile deals have been when it’s been able to bring its full financial firepower to bear on large companies, which have a strong route to exit. When Tencent invested $500 million for a 28% stake in South Korean outfit CJ Games in 2014, the result was the investment was linked to CJ Games buying and merging with mobile publisher Netmarble. It has since gone on to IPO, becoming South Korea’s second largest ever floatation. Tencent’s 22% stake is the company is now worth over $2 billion. Tencent’s money works best when it’s rocket fuel to a growth scenario. In this way, Tencent’s money works best when it’s rocket fuel to a growth scenario. In the case of Glu Mobile, the opposite was true. Tencent’s investment in the struggling company was taken by some as an assumption that if things got really bad, it would eventually buy it outright. Glu investors ask why Tencent isn’t doing more to boost Glu’s share price. But perhaps the most significant recent aspects of Tencent’s game strategy is how quiet it’s been in recent years. 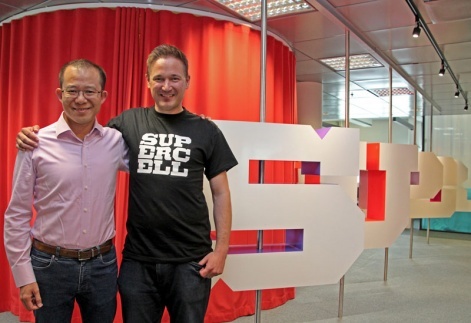 The Supercell deal was an outlier and Pocket Gems was a follow-up investment. Tencent hasn’t been really active in the western mobile game market for 12 months. Partly that’s because the Western market is maturing. There’s less opportunity. Equally, the incredible success Tencent is experiencing in the Chinese mobile games market with the internally-developed Honor of Kings (aka Strike of Kings) means it doesn’t need to look externally for new revenue. Instead, ironically, the Asian company which has taken up Tencent’s investment role in the West is Netmarble. It invested $130 million in US developer Jam City (previously called SGN) in 2015, which is planning to IPO. Then it spent $750 million in late 2016 buying bits of Kabam. And now, thanks to its own IPO, it's looking around for more. Expect the ‘Why doesn’t Netmarble just buy the entire games industry?’ sentiments to start anytime soon.